Get Help Now—Before You Spend Your Tax Return! Consumer Credit Counseling Service (CCCS) encourages local residents to take advantage of its financial counseling and debt management services. Issues arise because many people have poor credit—or no credit.CCCS can help folks with a variety of financial situations through their one on one financial counseling programs. As Tax Season unfolds, it presents a great opportunity to make a commitment to improving financial affairs. Recent information reveals that a majority of Americans live in precarious financial situations. According to the Corporation for Enterprise Development (CFED)’s Assets & Opportunity Scorecard, announcing that 51% of consumers don’t have prime credit, meaning if they can take out a loan, they are forced to do so at sometimes exorbitant rates. CCCS of Buffalo is Expanding Service Area! We are excited to announce that CCCS of Buffalo is expanding beyond our NY borders and we are now registered to serve the following states! 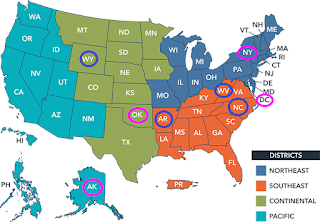 CCCS provides credit counseling services to those living in the above states. This involves a comprehensive and holistic overview of debt repayment options based on an individual's income and monthly expenses. Nationally certified counselors review the pros and cons of various options, including a Debt Management Plan (DMP). Through a DMP, an individual makes one monthly payment to CCCS who then will send out each individual payment to each of their creditors on a monthly basis. When enrolled in a DMP individuals likely are able to lower their interest rates and become debt free in 5 years or less. CCCS is a nonprofit agency whose counselors are looking out for their clients' best interest.